Coracles have been made in various different ways around the world for thousands of years. 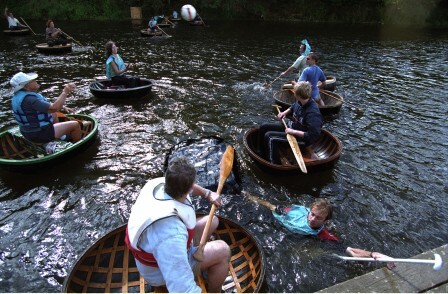 There are different styles traditionally made in the UK often either using cleft or sawn ash laths or bent hazel rods to make the coracle frame. Good fun both to make and to test your skill at navigation.